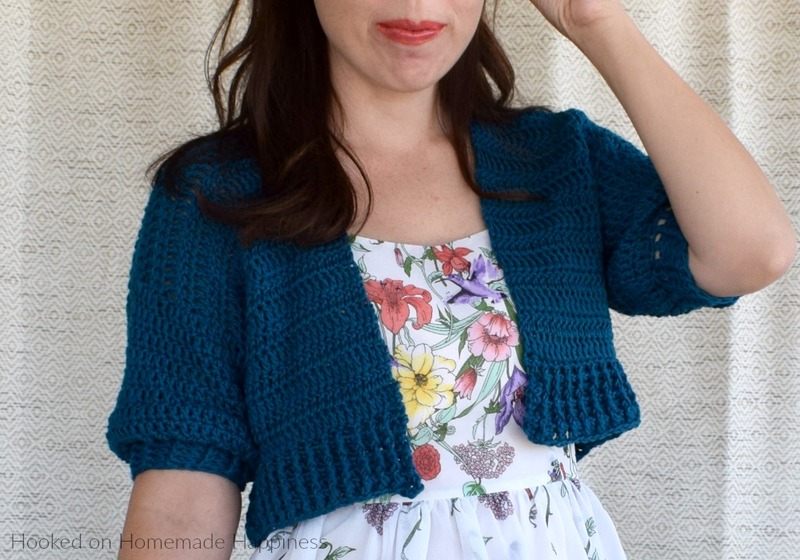 This light weight, cotton Cropped Cardi Crochet Pattern is great for summer nights when it’s not quite warm, but not cold enough for a jacket either. 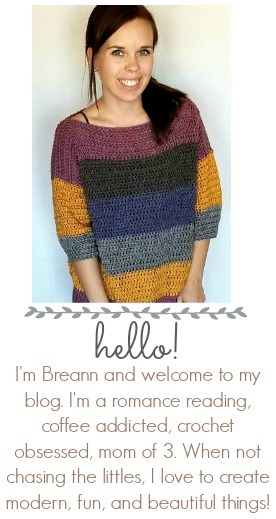 For this cardi I used my most favorite-est cotton ever (ever, ever!) 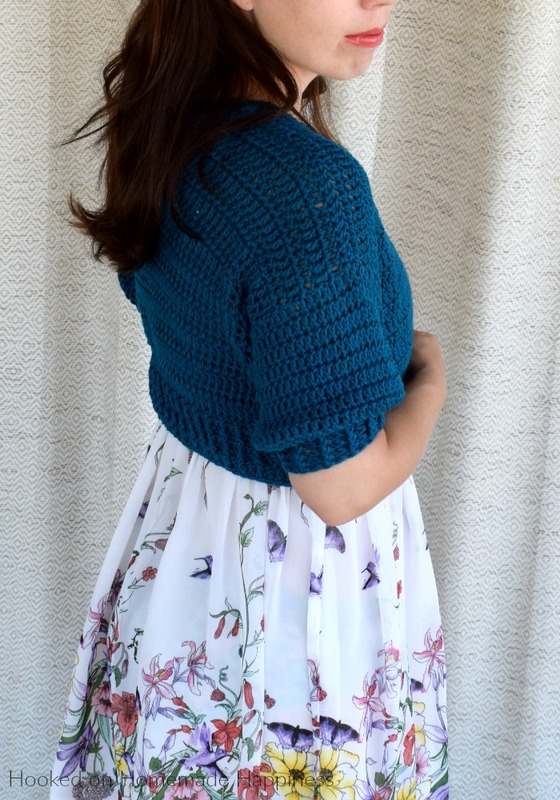 The Pima Cotton from We Are Knitters. It is unbelieveably light and comfortable. There’s no other cotton like it! 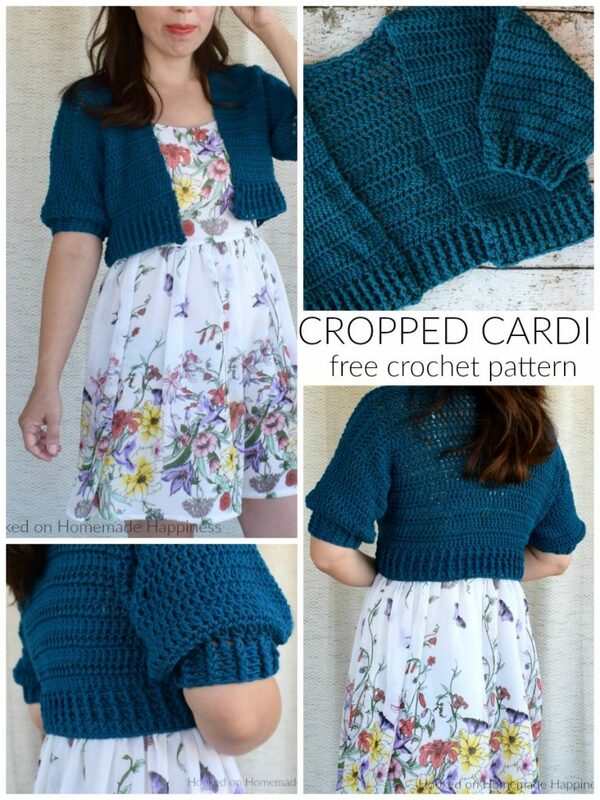 But any cotton (or acrylic for that matter) can be used to make this simple cardi. 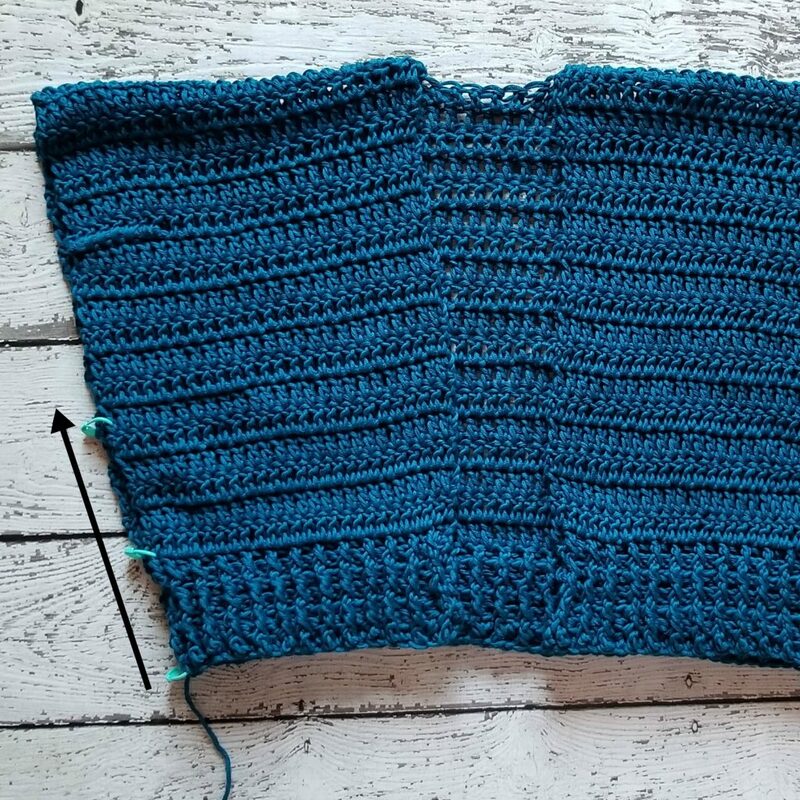 It’s made by making 3 pieces (the back rectangle and 2 front rectangles), seaming them together, and then making the sleeves. 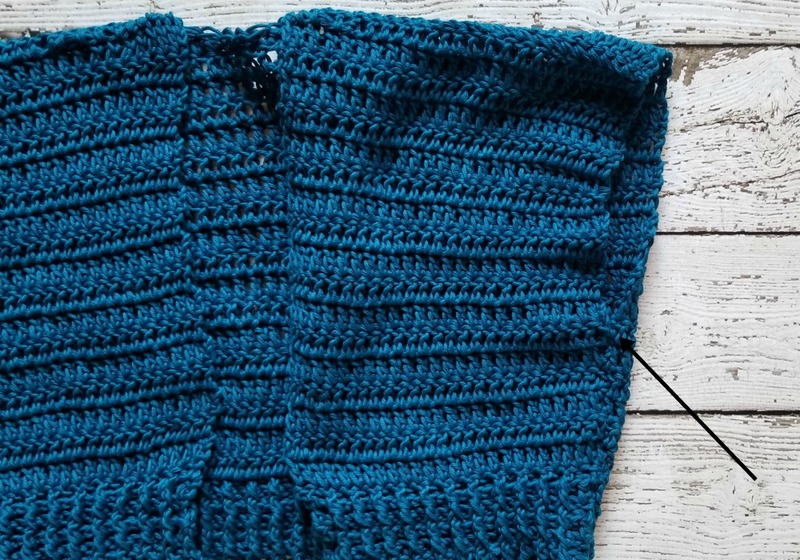 It’s a super easy pattern consisting of all dc, with some front post and back post stitches for the ribbing. Lay your front panels on top of the back. 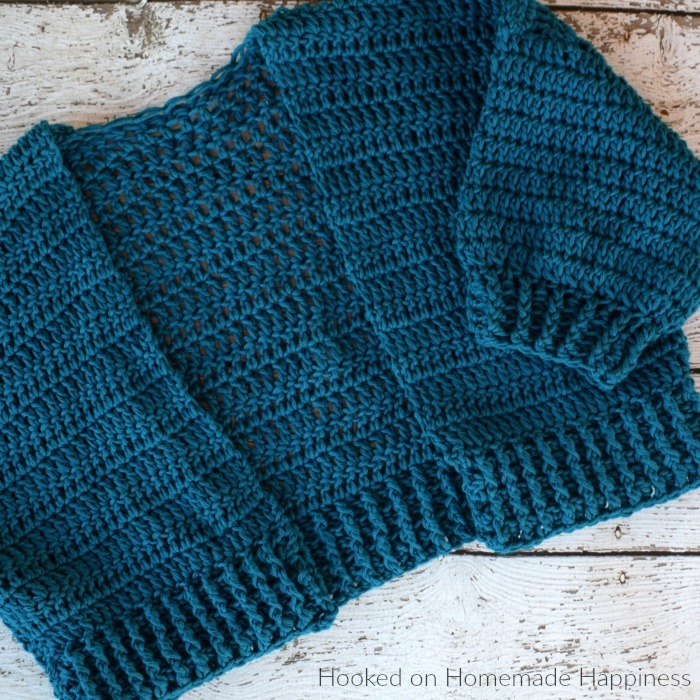 Sew the shoulders closed using your long end, yarn needle, and whip stitch. I used stitch markers to keep my stitches lined up. 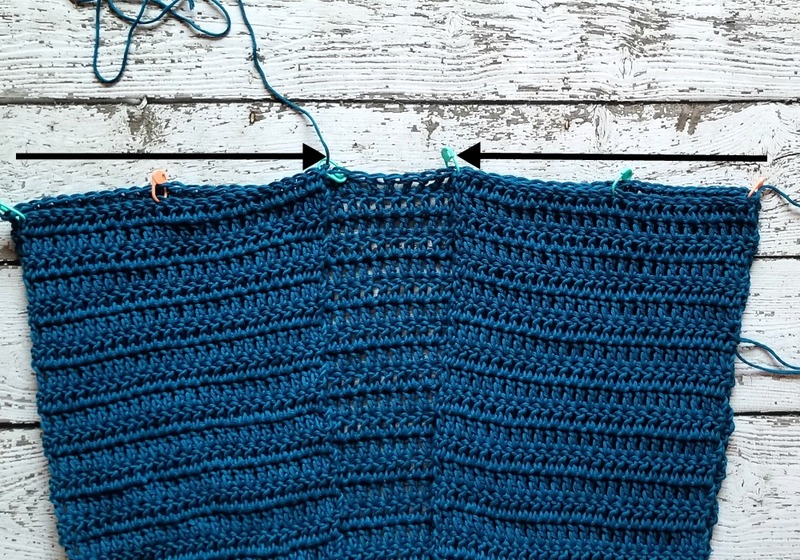 Sew the sides closed using your long end, yarn needle, and whip stitch. Sew to about row 12. 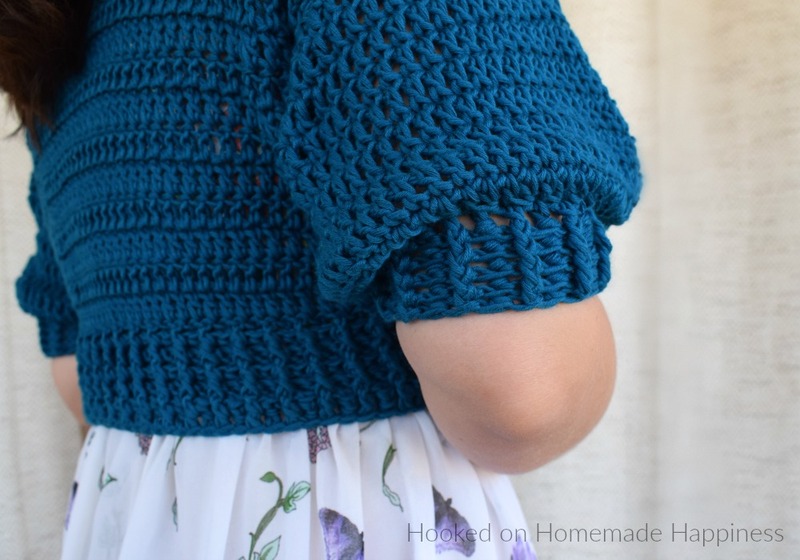 Leave a space at the top for armholes. Because everyone’s will be slightly different, I did not add stitch numbers to these rounds. To dc evenly around Work roughly 2 dc in the side of each row around. Repeat previous row 3 more times. Is there a way to make a larger size? I would like to say a HUGE thank you for all you share!